If you have been following my plan to save as much money as I can this year, you will know that at the beginning of the month I cancelled a few of my non-essential direct debits and managed to save £240 from my monthly outgoings. A few of my readers were shocked to learn that I had cancelled my Park Savings direct debit and questioned how I was going to pay for Christmas 2017. My answer to this is that I sometimes get paid for blogging work in the form of gift vouchers and I was going to save these for Christmas but then I did start to worry. What if things changed this year and I didn't receive as many gift vouchers? Or what if I ended up spending them before Christmas? The last thing I would ever want is to find myself unprepared for Christmas. When I spotted an advert promoting the intu Metrocentre Savings Club on my Facebook feed, I was intrigued to learn more. Steve and I always visit intu Metrocentre in the run up to Christmas and it's where we do our 'main' Christmas shop. I love that there is free parking and you can stay as long as you like (just make sure you get there early as it does get busy in November and December). It's probably the most convenient place to shop in the whole of the North East. We even stayed over in a nearby hotel in 2015 and made a weekend of it. To cut a long story short, after reading about the intu Metrocentre Savings Club, I knew it was for us and I signed up this week. You do not have to set up a standing order and save a set amount each month. This is perfect for people on flexible incomes like myself who don't want to commit to saving a set amount every month. When you do have some spare cash, you can top up your Christmas savings online or at any intu Metrocentre Guest Services desk. You can top up with at little as £5 at a time. If you would like the convenience of setting up a standing order and save a set amount each month, this is easy to organise (just ask for a form from Guest Services when you join). 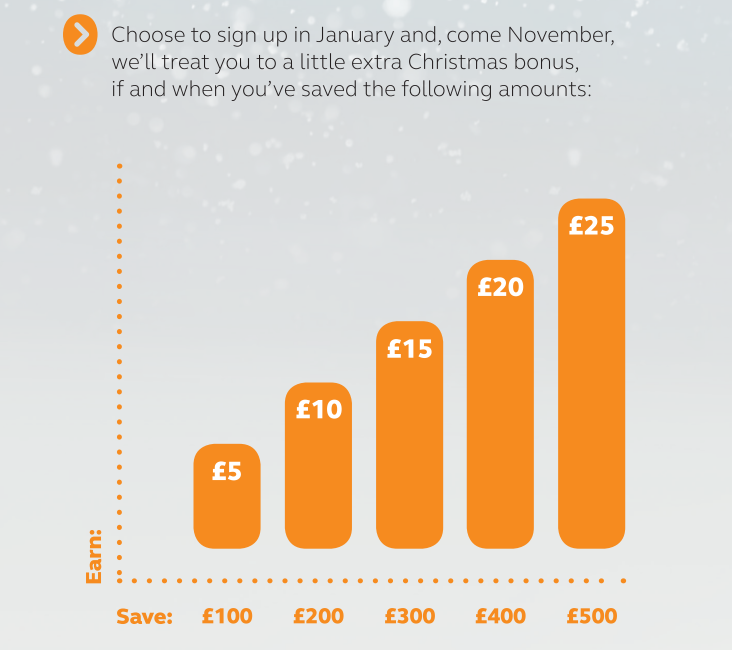 If you sign up in January and by November 1st your account balance is £100-£500, you'll receive a bonus of up to £25 (see website for exact bonus details and t&c's). When you redeem your gift card, you can choose to put your whole balance on one card, you can take part of your balance at a time and keep some of your balance for another day or you can split your balance across multiple cards. I will be definitely be splitting my balance across multiple gift cards as an intu gift card is a nice and easy (and well-received) gift for the teens in our family. You can spend your intu Gift Card at 1000s of your favourite brands in over 2000 stores, restaurants and leisure outlets. You can also use your card at intu's other 14 centres across the UK - perfect if you are planning a city shopping trip elsewhere or would like to visit intu Eldon Square in nearby Newcastle. You can even use your card at MetrOasis and Metro Retail Park. It couldn't be easier to open an account. Simply call 0191 493 0219 or visit a Customer Services Desk at intu Metrocentre. You will need to take your passport or driver's license as identification. The whole process takes about 3 minutes and is super easy. There is no credit check and you need a minimum of £5 to open your account. You can open your account at any time throughout the year, but I think the sooner the better. As a side note, I recommend visiting the Guest Services Lounge next to Wilko and Pizza Hut to open your account. This is what we did and the staff are so lovely and there are plenty of comfortable seats for your other half/kids to sit and wait for you. Obviously, there are Terms and Conditions that you need to be aware of - you can check them out here. I did enjoy saving with Park Savings in the past, but over the last few years I have felt really restricted and I was only able to spend my vouchers in a limited number of stores. 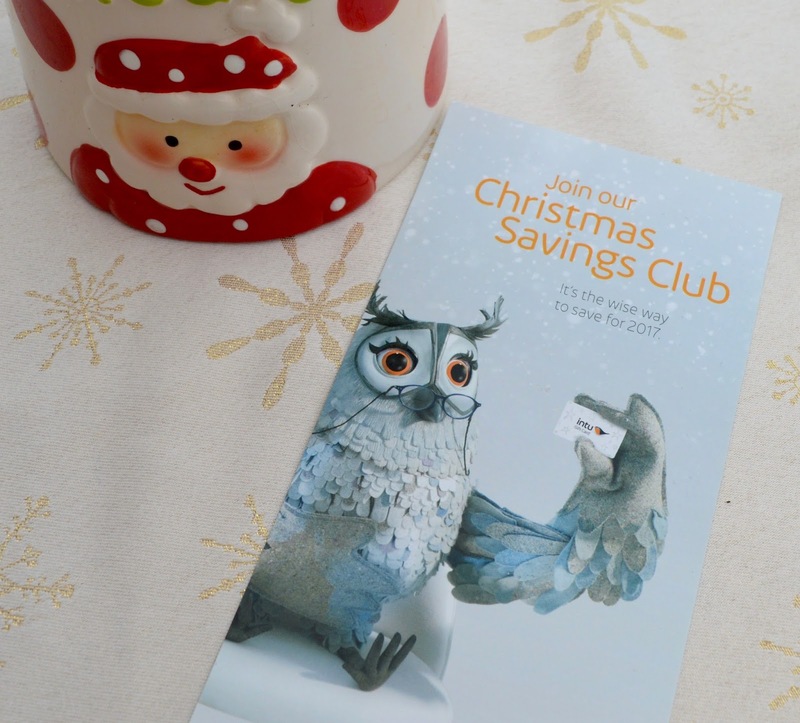 With the intu gift card and savings club, I feel a lot less restricted and the scheme is a lot more flexible which suits me better. Plus I'm aiming to save £500 so should receive a £25 bonus which is a fantastic incentive. I don't know what I'll be buying the kids for Christmas yet this year but I do know I'll have lots of options. After opening our account Steve and I wandered through the malls and decided the Disney Store, H&M Kids, Grainger Games, Smiggle. Currys PC World and M&S will probably be our first port of call when we start Christmas shopping in November. I can't wait! It's never too soon to start planning Christmas 2017. You can find a full list of stores here.